With the recent rains in Kansas, the Saline County Sheriff’s Office is keeping a close eye on some roads around the county. Saline County Undersheriff Brent Melander tells KSAL News that deputies issued four citations on Wednesday alone for motorists using unpaved roads that were supposed to be closed to traffic due to the wet weather. 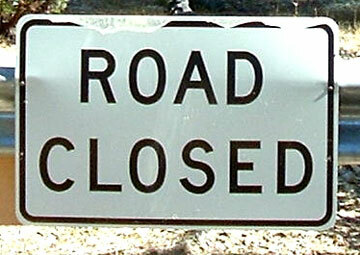 The roads, which are marked ‘Roads Closed When Wet,’ are unpaved and in many cases just plain dirt roads with no gravel. Melander says to abide by the signs because not only can traffic tear up the roads when wet, but drivers can harm their own vehicle or even get stuck. Some of the roads with Roads Closed When Wet signage highlighted by Melander include Tressin Rd., S. Centinnial Rd., and parts of Waterwell Rd. as well.